The annual international Consumer Electronics Show (CES), which was held from January 8 to 11 in Las Vegas this year, is now indeed a stage for global innovative products. Attracting nearly 200,000 global exhibitors, the 2019 CES showcased the latest breakthrough technologies across the high-tech industry, including but not limited to traditional home appliances, imaging technology, smartphones, and various software and hardware technologies. Yet, the trade war initiated last year has obviously had some impact upon the show this year. With its history of more than 50 years, CES has become a symbol of the US innovation power and its unique leadership of the global high-tech industry. Originally, the event and the global high-tech industry were expecting to see further flourishing under the drive of market forces in the globalization era. 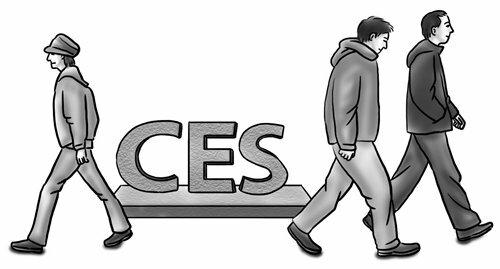 The year 2018 suddenly became the turning point for the development trend towards cooperation and win-win at the CES and the world's technology industry as a whole. In addition to US high-tech companies, the 2018 CES witnessed the dazzling innovation power of Chinese companies. CES is undoubtedly seen as the best platform for innovative companies from various countries and regions, including China, to display their latest products to the world. When the market forces encounter political power, it is understandable if you see market fragility. As geopolitics intervened in the high-tech field, which was previously driven by market forces, the global technology innovation has suffered a significant impact. Specifically, the China-US trade war that has lasted for nearly one year has resulted in a 'strong earthquake' to the global high-tech sector. It can be said that the shadow of trade war started with the setback of Chinese companies at the 2018 CES. At that time, Chinese telecommunications equipment maker Huawei was set to announce the partnership with US carrier AT&T for the sale of its new flagship smartphone. But AT&T pulled out of the deal at the last minute. From that moment on, high-tech cooperation between China and the US began to unravel. Then, after the ZTE incident, the containment of Huawei's 5G technologies and the unexpected arrest of Huawei executive Meng Wanzhou in Canada, even the most optimistic observers had become pessimistic about the future cooperation between Chinese and US tech companies. While Chinese manufacturers were still seen to be actively participating in the 2019 CES under the shadow of trade war, the overall sentiment had changed significantly. Statistics showed that the number of Chinese exhibitors this year decreased by 20 percent compared to the previous year's attendance. More importantly, the exhibitors' mindset also changed. I have participated in the event for many years, and the chilling effect of the trade war on this year's event was evident. Major Chinese companies clearly shifted and this year they kept a low-profile. Companies attending the CES are supposed to come up with their breakthrough technology and new products, but this year, some of the companies I talked with at the event narrowed down their booths and failed to bring many releases of new technology and heavyweight products. Moreover, the scale of the exhibition this year was reduced compared with the previous events. It is indeed still a large-scale show for global technology, but it is somehow a little bit disappointing to not see many eye-catching new technologies or new products. Also, because of the impact of the trade war, high-tech companies from various countries didn't seem as enthusiastic in exchanges and cooperation talks during the show as they used to be. Companies from the US, China and other countries have apparently become more inclined to take a wait-and-see attitude, and adopt a more cautious stance toward investment and cooperation. Even some investment and cooperation agreements that were already inked had to be shelved for the moment. A stage that is supposed to showcase human innovation begins to sense increasing political pressure. In this sense, the CES may be considered a barometer to sentiment within the industry. As long as the uncertainty caused by the trade war persists, its damage to global high-tech sector will be more and more serious, which may even shake the overall industrial chain and the foundation of the global high-tech sector. If that happens, the US itself will inevitably suffer too. It is hoped that the ongoing China-US trade negotiations will proceed smoothly and achieve the positive results that are widely hoped for. Only in this way, will the prosperity and excitement of CES not become a distant memory.